Where Are You Birding This Final Weekend of July 2008? I don’t know about you but after a long week of work and rain, I’m ready to get out into the world for a little nature immersion therapy. The imminent end of July reminds us that summer itself shall not last forever. Thus, it behooves us all to live it to the hilt. So where are you watching birds this weekend? Comment below on the excitement you have planned! Many of last week’s SkyWatchers expressed interest in how Chicken Inferno 2008 played out. It was truly remarkable, thanks for asking. Here is a brief report which includes a link to a time-lapse movie of the chicken being built and burned that you have to see to believe! As I’m finally spending a weekend at home, I have a number of domestic and social activities planned. Still, the wilds of Rochester beckon! Corey’s birding this weekend includes watching a bunch of (St. Louis) cardinals at Shea Stadium, presumably getting trounced by the Mets. Charlie plans to spend the weekend at home digesting and then blogging the vast amount of info he just amassed visiting the RSPB and BirdLife International as part of an international shorebird delegation. I’m sure you’re as eager to read those posts as I am! I’m planning to spend some time (and much needed work) in my garden this weekend, and I’m sure I’ll be seeing plenty of birds as I work. Wonderful photo! Im hoping to get some birding in this weekend early or late in the day to avoid the heat wave we are having. Happy SWF! I bow to the skill involved with this shot… fantastic capture for all us sky watchers to view…. Please forgive this ‘copy & paste part of my comment but I am on my rounds checking all the links but wanted you to know I have seen your post and will try to get back again. On behalf of all other Sky Watchers the team thank you for taking part this week. Live it to the hilt, absolutely right. I’m out straight from work this evening. Thanks for stopping by Mike and thanks for the kind comment. This is just amazing. 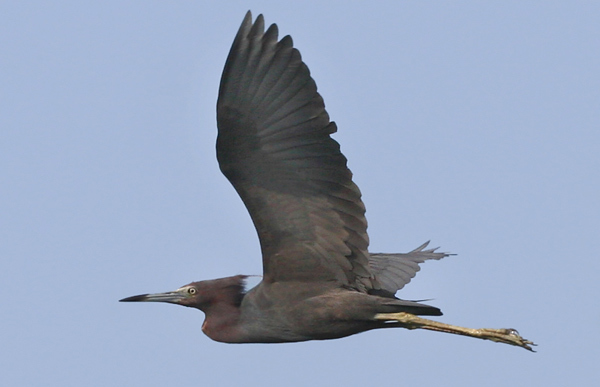 I have a special love of blue herons. You’ve got some amazing photos on your blog. Birds and skies do go together. My Skywatch this week is here – the skies over Bangkok and Ubon Ratchathani, Thailand. Don’t tell me it’s the end of July already because that means I only have a month until school starts again and . . . oh my. I’ll be birding where I usually bird, in my own backyard. It’s swell and you’re all welcome to come by and see the Chestnut-backed Chickadees. Just bring some sunflower seeds — they are demanding and greedy little buggers and they really go through it fast. I’m tossing around the idea of going west this weekend, the mountains still hide a few goodies I’ve yet to get for my Big Year. I’ll be watching the Cardinals on TV when I can. Mets are Pond Scum! Go Redbirds! Nate, make sure you watch the game tonight…I have some seriously good seats somewhere behind home plate so you might be able to spot me (look for some redbird red!). And thanks to everyone who commented so far for the compliments on the picture (I just got very lucky to have it fly right past me with the sun behind me). I’ll be birding at Cuyahoga Valley National Park in Ohio, Presque Isle State Park in Pennsylvania, and Allegany State Park in your great state of New York! Good birding to all !! First visit! It has been raining and raining, so I would be happy to bird in my yard. After a storm this week, I caught (photo) of a confused great blue heron standing on a swingset. Why? I think it threw him off that the pond was so high and there were fish flopping on the lawn. But a green heron wasted no time in catching a small one. Love the herons. Just amazing! Thanks for this. what a majestic bird! superb photo! Wonderful in-flight capture, and a great Sky Watch. Thanks!